In Global Healthcare Access and Quality Index Study, India ranks 154 among 195 countries. 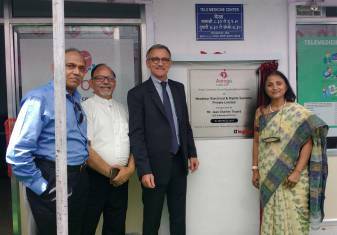 WhiteSwan Consulting Group (WCG) along with Noveteur Electricals Private Ltd. (LEGRAND) has taken initiative in providing good quality health care facility to the rural population with the help of Telemedicine. 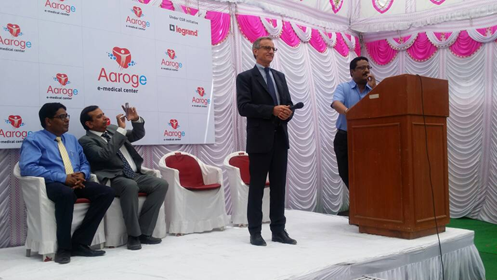 WCG with Noveteur Electricals Private Ltd. (LEGRAND), as a CSR initiative, sets up a Telemedicine Centre at Jalgaon, Maharashtra, India. This project aims to provide quality primary health support to the local community especially to the marginalized section of society, mostly poor, which do not have access to proper medical consultation facilities at affordable price. 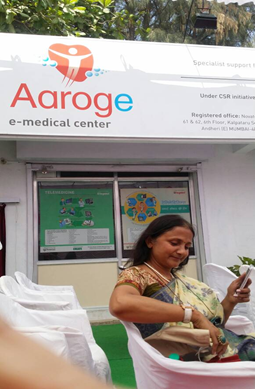 e Aarogyee is the Telemedicine Centre at Jalgaon. To provide access to quality medical services through distantly located reputed hospital & their medical practitioners through Telemedicine. To provide low cost medical tests and medical check-ups for community living in slums and localities in the nearby areas. The Centre shall act as conduit/facilitators between the communities and distantly placed medical practitioners at Nanavati Hospital, Mumbai. Telemedicine facilities are setup in the nearby areas of the plant so as to provide quality medical consultation to the people living in those areas at a token price. There are qualified paramedical staffs in the center that collects basic parameters of patient, do screening by using devices and seek advice of the doctor from the hospital. The prescription is provided by the Doctor for treatment. Such center caters around 10,000 population including families of workers, contract employees and other poor families living in the area and create goodwill by generating social good. In Jalgaon city where majority of the slums/poor community lives, there is a lack of availability of qualified doctors with good credentials. The community has no option but to get their medical problems solved through the medical practitioners available in that district until it gets really serious to take the patient to a distantly located hospital. To make the access of qualified doctors with good credentials and to provide affordable medical services to the poor section of society, this project is been selected.